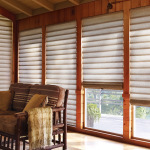 Come ‘Celebrate Light’ at Boston Shade through the Spring Hunter Douglas promotions. 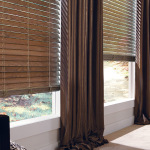 Spring is always an exciting time at Hunter Douglas with their updates and new releases. Both Luminette and Vignette have brand new collections and the Wood Blind line – Parkland, has been refreshed. Please stop by the showroom to take a look and hear about all the new happenings at Hunter Douglas.